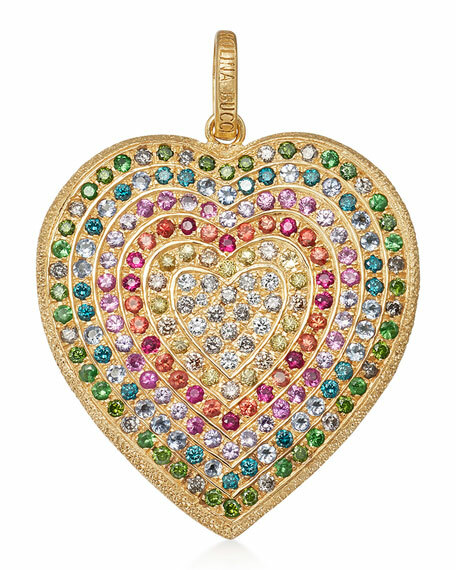 Florentine heart pendant by Carolina Bucci in 18-karat yellow gold. Traditional Florentine beaten finish produces permanent facets that catch the light. Diamond, sapphire and ruby pavé heart.